This is our second Speedy Tuesday on Fratello Watches and this week’s pick is the Omega Speedmaster Professional with reference number 105.012 and caliber 321 movement. Every Omega Speedmaster enthusiast knows that this is the same model that went to the Moon on the wrist of Neil Armstrong (we covered it here). Besides the pictured Omega Speedmaster ref. 105.012, astronaut Collins was wearing a similar model, the Speedmaster ref.145.012. Buzz Aldrin supposedly wore the 105.003 (pre-Professional), but this watch got stolen afterwards. 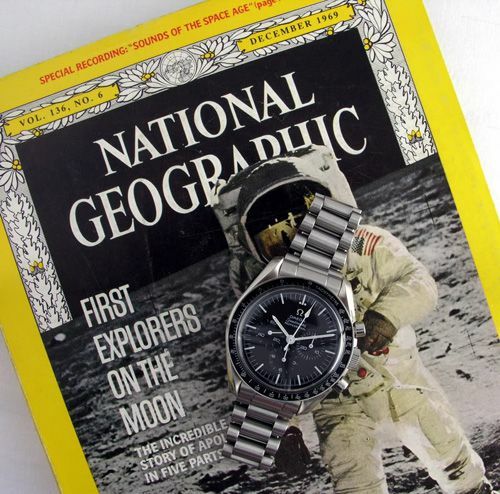 Speedmaster fan Jmsrolls (John) shot a picture of his ref.105.012 Speedy on a 1969 copy of National Geographics magazine, covering the Moon landing earlier that year. The ref.105.012 was the first Omega Speedmaster that officially (there are some earlier 105.003 models with ‘Professional’ on the dial) had the wording ‘Professional’ on the dial. This was added by Omega after they learned that it had become the official watch for astronauts. 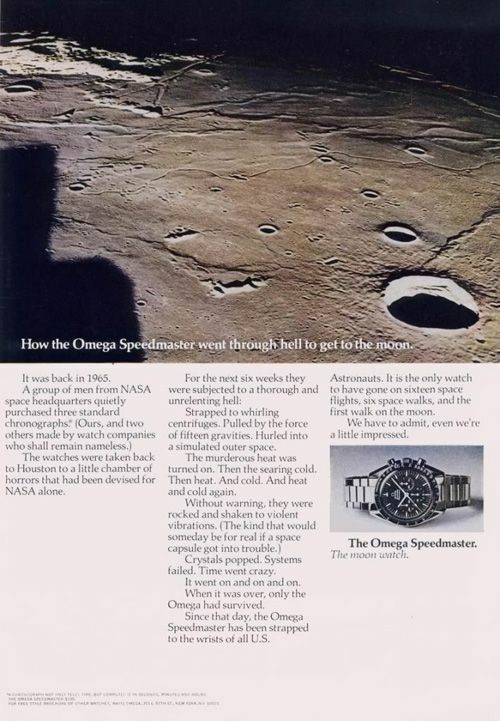 John also chipped in this article about the history of the Omega Speedmaster Professional ‘Moonwatch’ that appeared in a NAWCC bulletin in 1993. If you want to submit your Speedmaster for an upcoming ‘Speedy Tuesday’, please submit it to: speedmaster @ fratellowatches . com (remove the spaces). More Speedy Tuesday articles will follow soon.